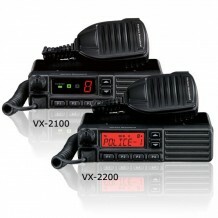 With 25W power output for effective communications transmission, the VX-2100/2200 Series provides reliability, extensive signaling features and enhanced channel capacity for maximum return on your investment. Die-cast aluminum construction helps dissipate heat and absorbs vibration for durability. 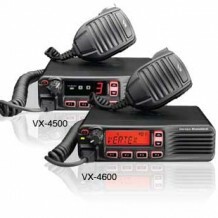 The VX-4500/4600 mobile radios are packed with enhanced features and signaling performance for increased communications flexibility and worker safety.